Celebrate the christening of a new baby with this simple and elegant greetings card. 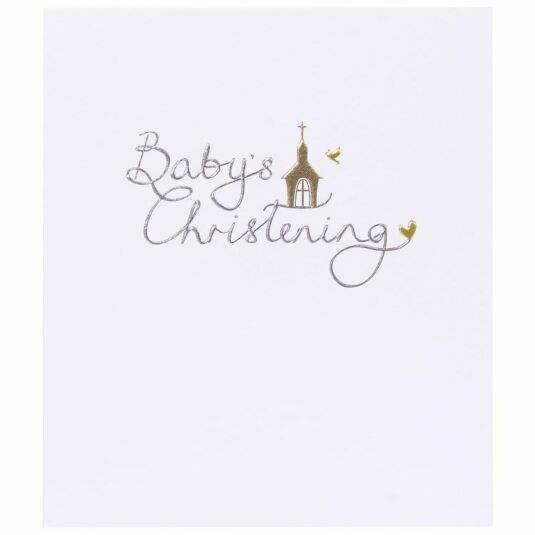 The front of the card features the words: Baby's Christening;in embossed silver script on a textured surface, decorated with a small gold church. The inside of the card reads With Love on this special day, with plenty of space to add your own personal message. The card measures 13.5cm x 16cm and comes with a brown paper envelope.